Even if you don't believe in predestiny (which forms part of the Hindu belief system), one of Jodhpur's most delightful citizens, the astrologer and palmist Mr. Sharma, will make a believer out of you. 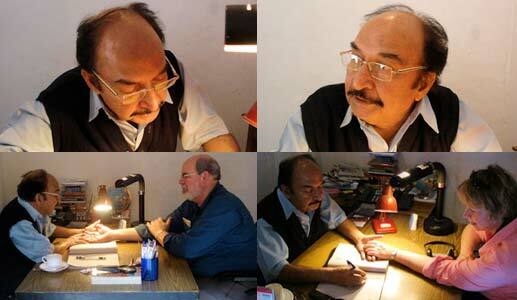 Honing his craft, or rather his science, for nearly 50 years, Mr. Sharma will (with often startling accuracy) provide insights about your personality, habits, genetic health, work, and romantic life; on top of it all, he'll share heartfelt advice that you dare not ignore. You can put your palms in his hands at the Mehrangarh Fort; he works in a small consulting office on Moti Mahal Chowk (toward the end of your tour) from 9am to 5pm daily. If requested, he'll come to certain hotels after hours. To make an appointment, call the fort (tel. 0291/254-8790, ext. 39), his mobile (tel. 94-1413-0200), or his residence (tel. 0291/261-4439). Remember to remove your nail polish, and be prepared for one of the more intimate moments of your trip to Rajasthan. The Hindus believe in predestiny and palm readers have long been valued advisors. One of the country's most respected palmists holds forth in a small office inside Mehrangarh Fort. Mr. S.L. Sharma is one of Jodhpur's most delightful and unusual citizens. He has been an astrologer and palmist for 50 years and I found his insights into my personality, health, work (and love life) were amazingly accurate. Astrologer Mr. Sharma (+91-291-2548790, Ext. 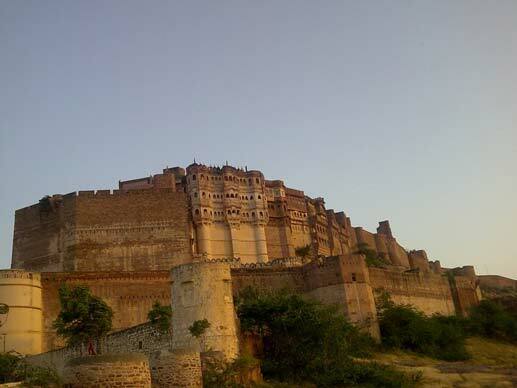 39, or Cell: +91-94141-30200, Email: slsharma@satyam.net.in) at Mehrangarh Fort open 9 a.m. to 5 p.m. daily, offers palm reading from his office in Moti Mahal section at the fort Mr. Sharma has been studying Astrology for over 30 years and can also offer private consultation, for which ou need an advance booking. Don't wear nail polish if you intend getting a reading, as the nails are used to ascertain your state of health. There is even a fort astrologer Mr. Sharma at the fort (Cell : +91-94141-30200) Who is available for consultation from 9 am to 5 pm daily. A Palmist sits in the courtyard (Moti Mahal) to fortell the future of visitors. Near the conclusion of the Mehrangarh Fort museum tour, in the Moti Mahal Chowk, there were signs for the palm reader/astrologer, Mr. S. L. Sharma. Exactly the sort of sign I normally ignore. But Louise stopped for a reading, then told me I should get one. I reluctantly agreed. What he said about the future was encouraging in the long run, but demanding of patience. I won't repeat it now-- it's a little too close to the Imatest business plan. Mr. Sharma also has an office at the Umaid Bhawan Palace. +91-291-2510101 to +91-291-2510112 Ext. 2 or 6. Hidden within its dramatic maze of courtyards are actors, musicians and astro-palmist SL Sharma. He quickly identifies.